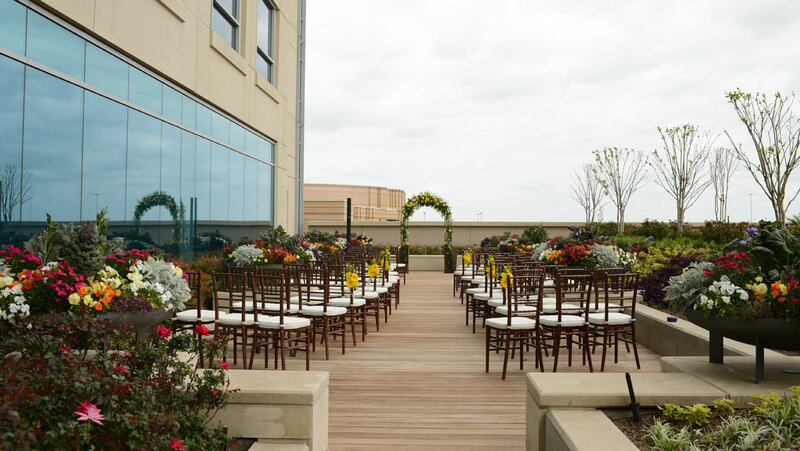 Omni Fort Worth Hotel offers the perfect location for every wedding occasion. Whether you are seeking an exquisite venue for your wedding reception, bridesmaids’ luncheon or rehearsal dinner or simply an intimate family gathering, our warm, relaxing surroundings will set the stage for a perfect event. This classic space is the perfect place for wedding ceremonies and receptions. 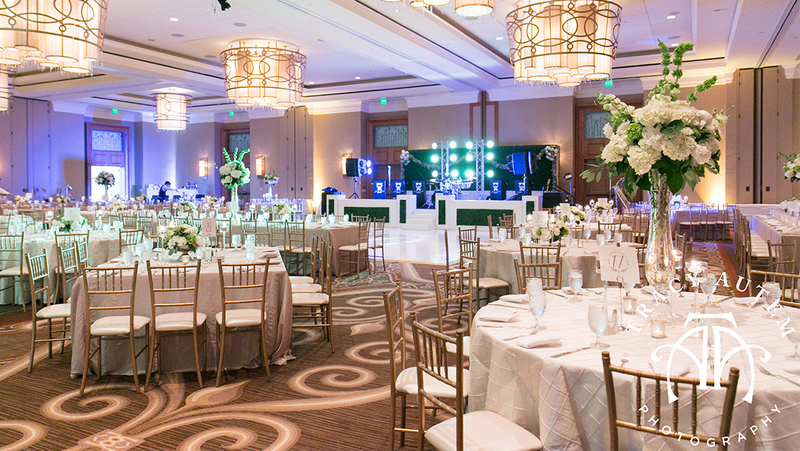 With space for up to 1,000 guests, the Fort Worth Ballroom is made up of over 9,000 square feet. The foyer overlooks the beautiful Fort Worth Water Gardens. Ideal for intimate groups, this charming outdoor space sits on the third floor of the hotel and overlooks the downtown skyline. 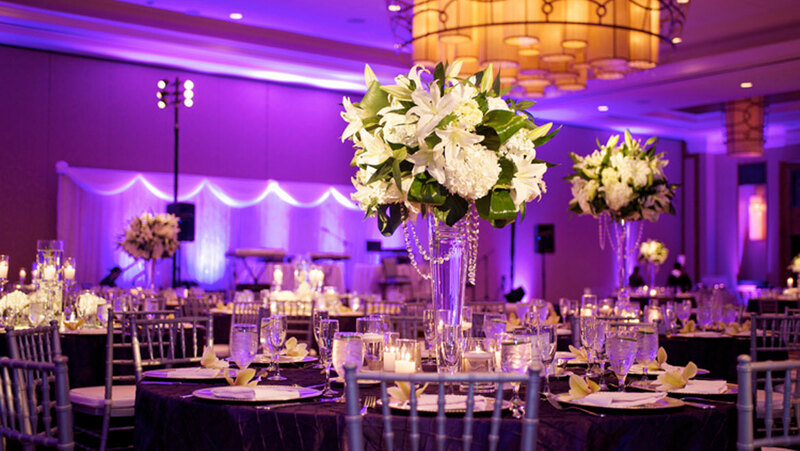 The Texas Ballroom is the ideal venue for large ceremonies and receptions. The space can hold up to 2,000 guests and contains over 18,000 square feet. The ornate foyer is accented by floor-to-ceiling windows with scenic views of downtown Fort Worth.